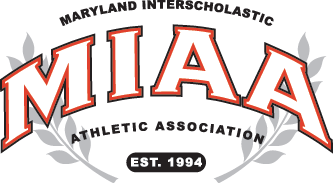 The Archbishop Curley boys soccer team won its annual Rief Cup Challenge with Calvert Hall by a score of 5-1 for a second consecutive year, under the lights at Calvert Hall on Friday. The rebuilding yet sixth-ranked Friars (4-5, 4-4 MIAA A) played their most complete game of the year, out-manning the host and fourth–ranked Cardinals at nearly every turn in this MIAA A Conference soccer rivalry. Anthony Dragisics and Kenny Clapp scored early goals to give Curley a 2-0 lead, before Ben Bender pulled the Cardinals (4-3, 3-3 MIAA A) within one, scoring with 27 minutes remaining in the contest. Curley pressure created an own goal, and a 3-1 lead, two minutes later and the Friars pulled away from there. Alex Martinez netted the fourth goal and Clapp got his second of the night, with 14 minutes to go. Curley now leads in the Reif Cup Series, 9-7-1. After the contest, soccer alumni of both schools gathered to celebrate old times.